*For a lower carb version serve chicken and slaw in lettuce wraps. These sandwiches are an excellent balance of protein, carbohydrates, and fat to keep your blood sugar stable. Preheat oven to 350ºF. Liberally season chicken with mesquite seasoning. Place in baking dish and bake until cooked through, about 25 minutes. While chicken is cooking, prepare slaw. Add all ingredients to a bowl and mix until evenly coated. Place in refrigerator for 20-30 minutes to allow flavors to marinade. When chicken is cooked through, shred with two forks, add barbecue sauce, and mix evenly. 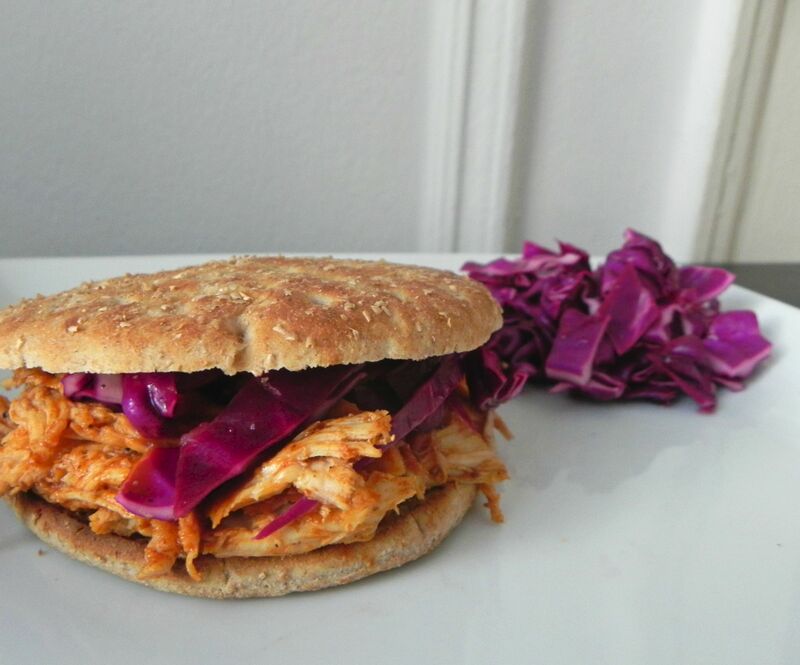 Serve chicken on sandwich thins and top with pineapple slaw.